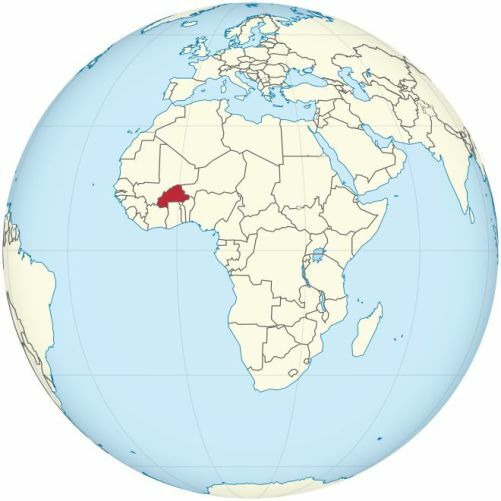 Burkina Faso is one of the wealthiest countries in the world: 68 different ethnic groups, each with their own languages, music, traditional dances, masks and customs, live together here peacefully. 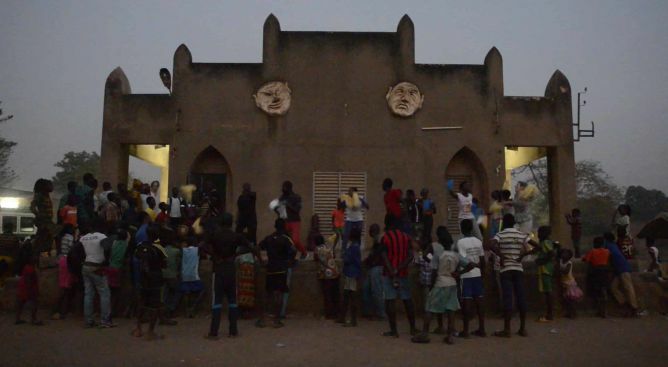 Unfortunately, the state cultural funding doesn’t reach as far south of the country as to the city of Banfora. The inhabitants of this cultural gem yet to be discovered remain patient and courageous although left to their own devices. 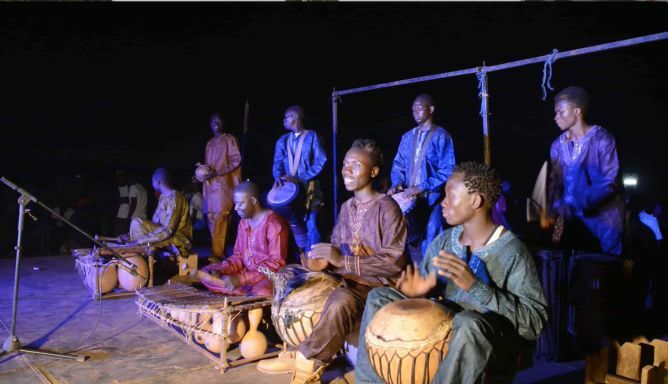 This is where we come in and help: By creating a festival for music and culture there will finally be some acknowledgement of the importance of the cultural tradition and wealth in the region – the local produce can be proudly presented to the world. Without question, one day there will be the likes of Mozart or Jackson coming from Banfora conquering the world! When wealth and prosperity are found right at your doorstep, there is no longer a need to migrate to wealthier regions. 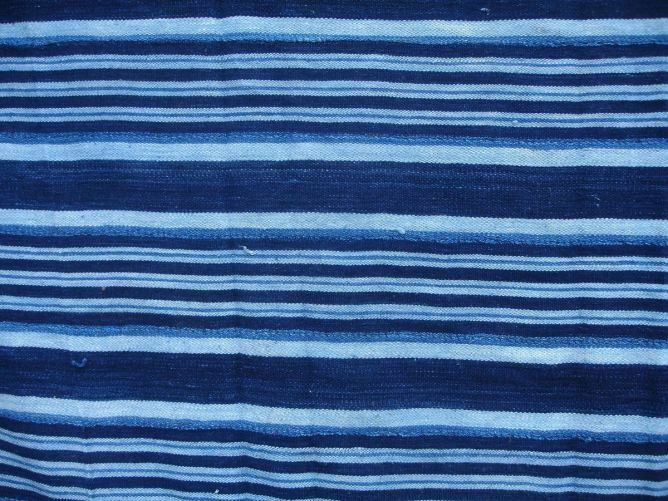 In Banfora, such resources can still be found: time by the ton and space for miles and miles. The musicians, dancing performers and storytellers participating in the festival will be invited as artist in residence, meaning that they will receive board and lodging as well as a modest fee. 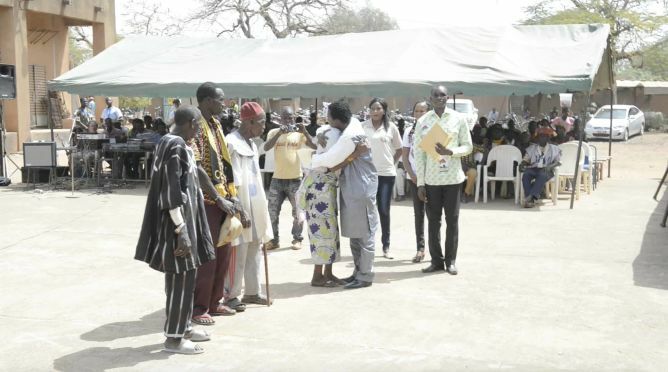 For the traditional village musicians, who all their lives have performed for free as a service to their community, this comes close to a miracle and will generate dreams. 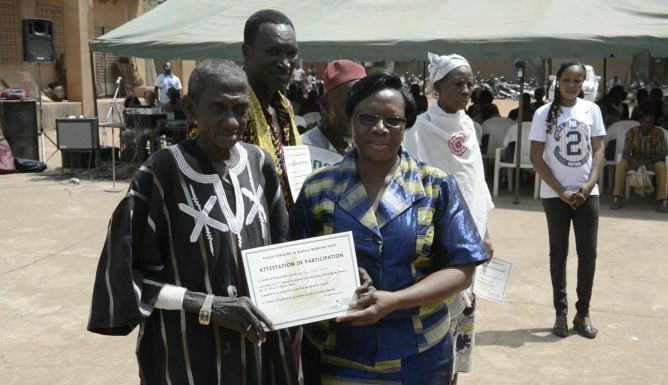 On the one hand, they will become more aware of their importance as traditional folkloric performers. On the other hand, it might even give impetus to more professional cultural structures. The ultimate goal is to turn the festival into such an attraction that it will gather people from all over the world. Its purpose is to promote cultural tourism and also to create a counter-movement to migration flows toward Western parts of the world. 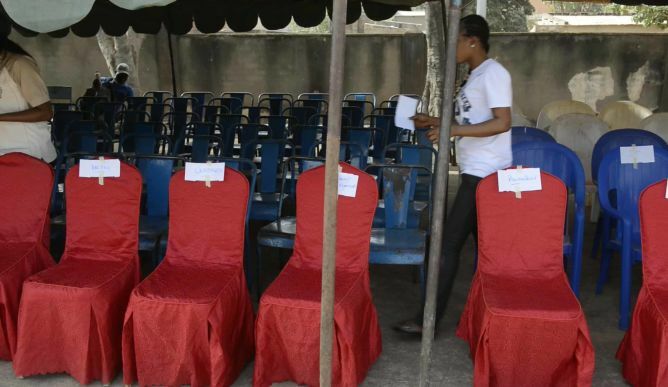 With the money attributed to the festival various areas of the economic life will be invigorated and thus create paid jobs. Leaving a lasting impression on the participants by jointly experiencing the «l’esprit de partage musicale» is what makes this festival so unique. 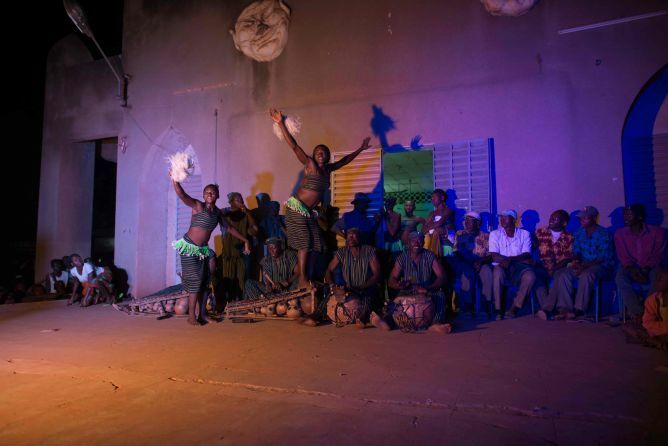 With professional guidance, the festival audience will set up a collective stage performance consisting of dancing, drumming, singing and storytelling. 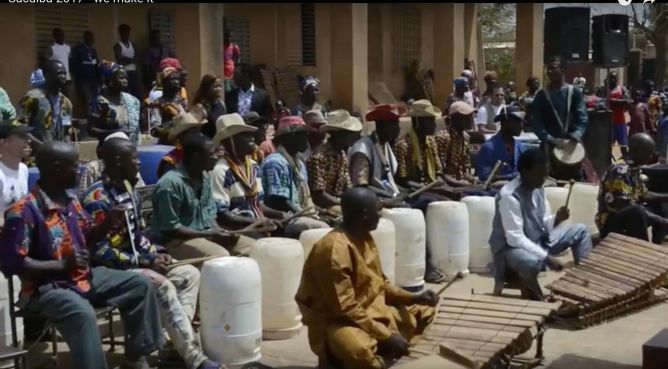 International interest in the local Burkinabe culture will have a positive effect on preventing the endangered cultures of Burkina Faso from disappearing. Means to cover for board and lodging for the invited local and international musicians (about 120 persons) during one week before the festival starts (workshops and preparation of a collective stage performance) as well as during the 3 days of the festival. Fees for musicians and workshop leaders. 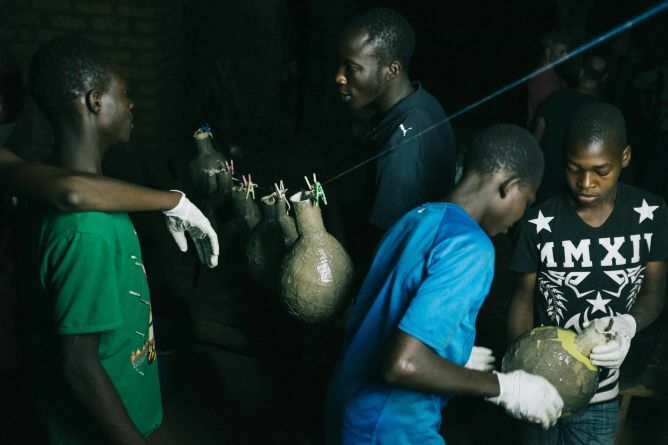 Means for material, tools and instruments, among others for the following workshops: building balafons, resonators and drums. 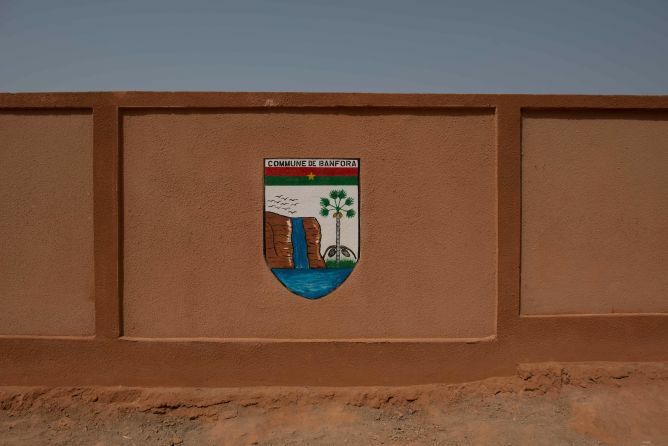 Financial means in order to prepare the venue and festival centre «La Maison de Jeunes» for the event with the assistance of the festival audience. 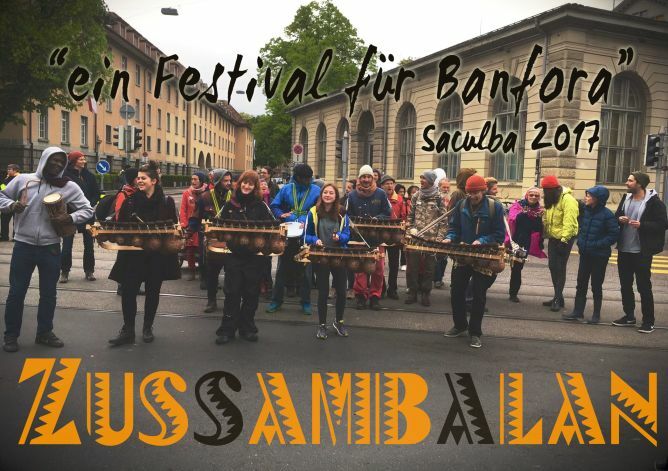 We make it - «A Festival for Banfora» summer tour of the percussion group «ZUSSAMBALAN» (Zurich/Burkina Faso), in collaboration with local singers from the Räphügel and Intergalaktischer choirs. Come along and have a listen! For performance dates and venues see below. Unfortunately, this project ended unsuccessfully on 29/7/2017 21:00. 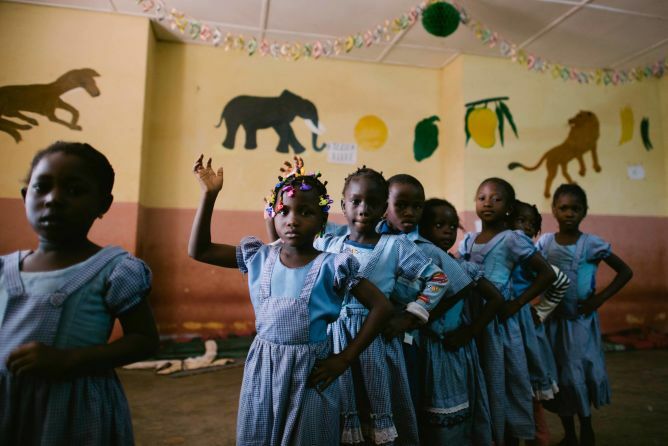 You’ve got mail – from Africa? 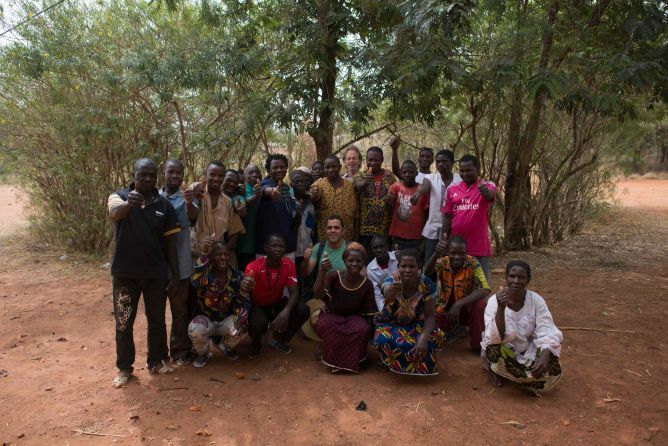 We wish to thank you for your kind support by sending you a personalised festival thank you card from Africa! You are cordially invited to the SACULBA Sponsors' Fest in October in Zurich. 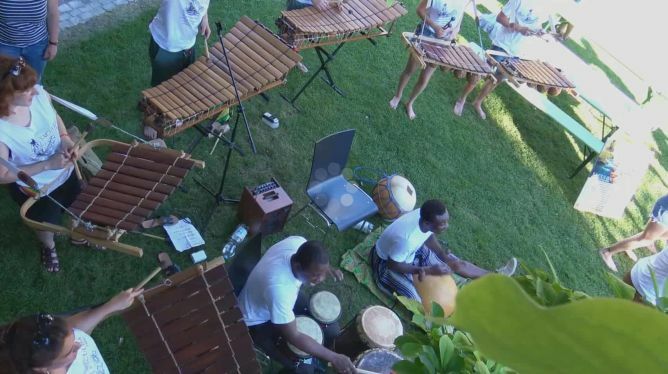 We will bring you some live sounds and impressions from SACULBA 2017, including balafon music, dancing and footage. In case you cannot attend personally, or if you prefer, you will receive the video by mail. Wonderful! 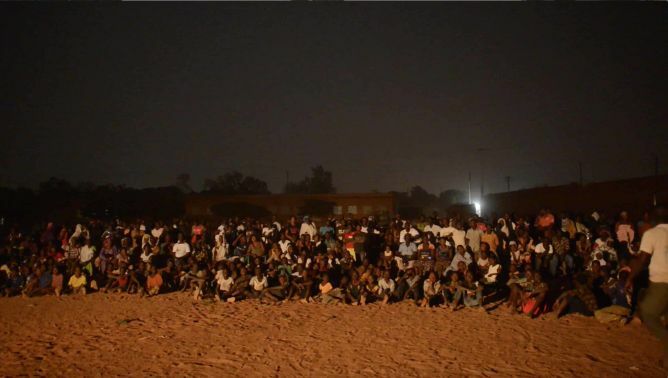 Your contribution will allow the Festival to grow. 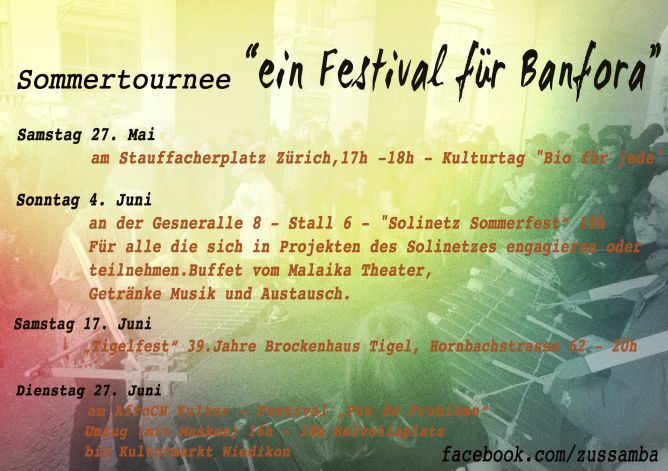 Musicians in Banfora and in Zurich will dedicate the balafon song «Jiriba» (the tree in the middle of the village square) to you. In addition, you will receive 5 seeds of the moringa tree, which you can cultivate on your balcony. May your own projects thrive and prosper! ANITIÉ - Thank you - for participating and for your support. You will receive a SACULBA T-shirt 2017, manufactured in Banfora using local woven fabric. Pick it up at the SACULBA Sponsors’ Fest in Zurich, or have it sent to you. This is great! With your contribution SACULBA will being to move. You will get some «moves and grooves» for free at the SACULBA Sponsors’ Fest by joining Serge Somé’s afro dance workshop. Received with thanks. 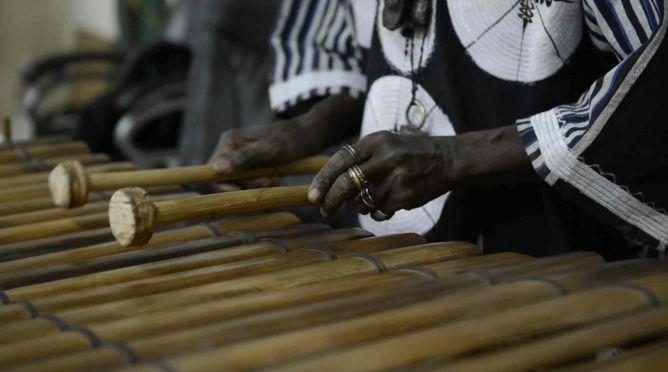 With your contribution the voice of the balafon will continue being heard throughout the world. 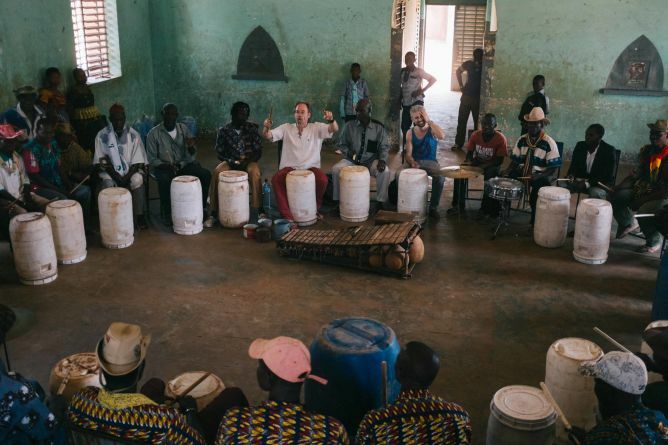 Our gift to you is a practical introduction at the SACULBA Sponsor’s Fest into playing the balafon according to the methodology in «Die Stimme des Balafon», written by Moussa Hema and Adrian Egger. If you prefer, you will receive the book by mail. Many thanks indeed. With your support, we are sculpting the SACULBA Festival together. 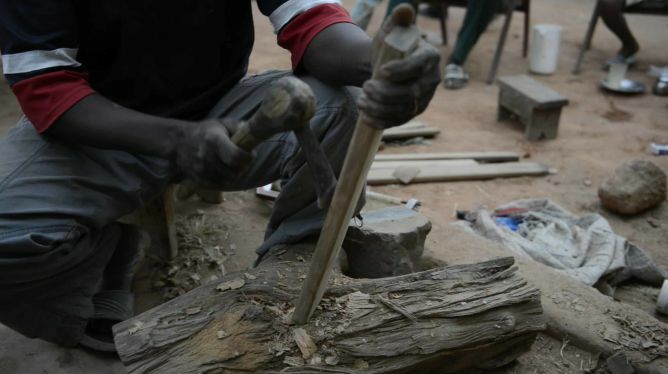 We will bring back a traditional balafon carving tool with the festival engraving from Banfora for you. At the SACULBA Sponsors’ Fest you will receive an introduction into its usage. If you prefer, you can have it sent to you. 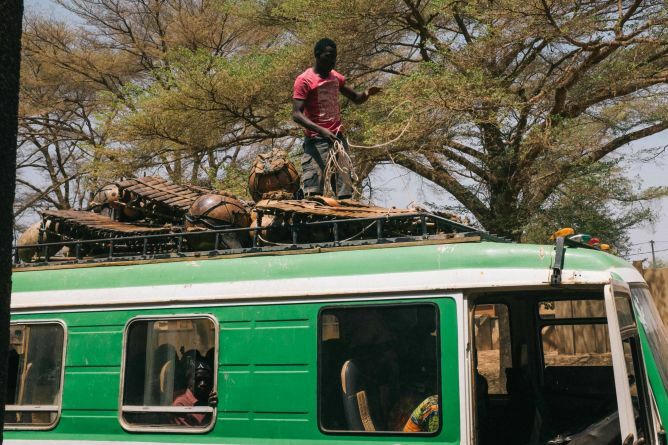 The sound of rustling leaves, as the wind blows through tree tops across the savanna, is captured by the women making this instrument, so the tale goes. 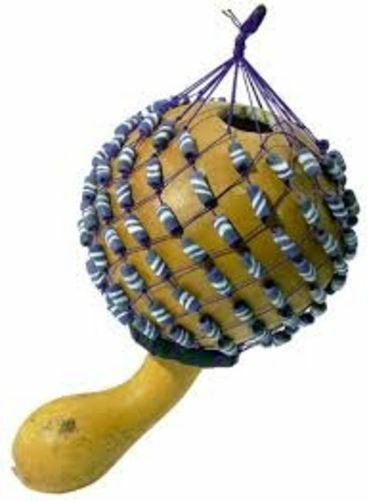 The West African shekeré rattle we offer you will be a source of inspiration to you and your friends, just like you inspired the SACULBA festival. Join in and make music with us at the SACULBA Sponsors' Fest! 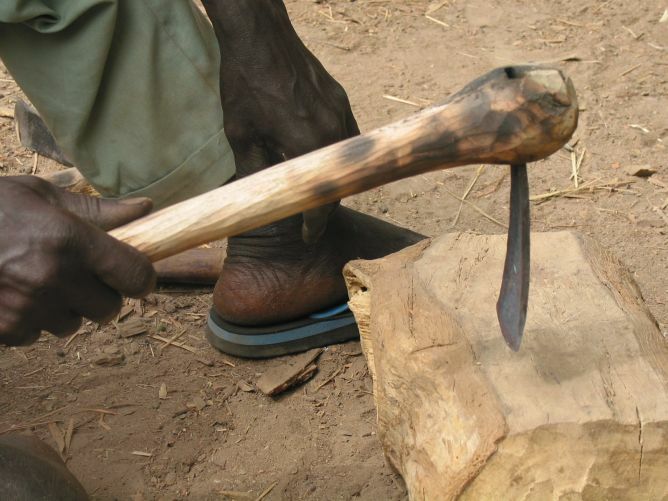 A large majority of musicians and in particular balafonists from Banfora are blacksmiths. They are masters of fire, not only as blacksmiths but also as musicians. 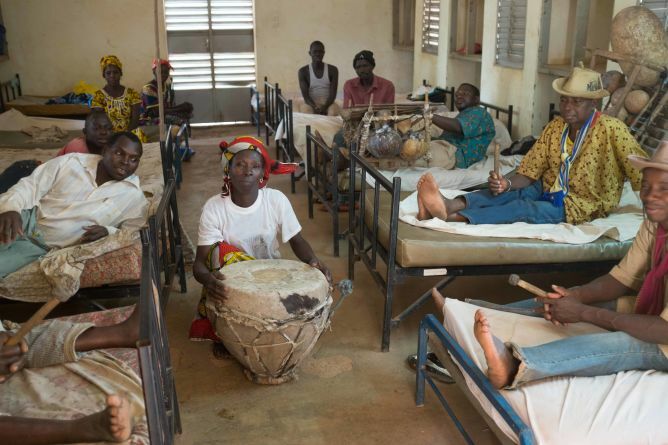 They will therefore manufacture a «karinjan» - the African equivalent of the Latin American guiro - especially for you. Pick it up at the SACULBA Sponsor's Fest and light up the music! Thank you for your generous support! 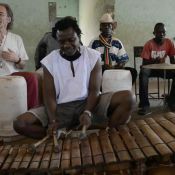 You will receive a bona fide, beautifully sounding balafon with 15 keys, including case and the SACULBA festival engraving, manufactured by the instrument builder Karim Traoré from Banfora. 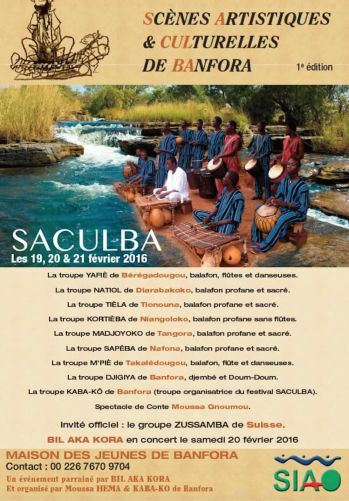 The balafon must be picked up at the SACULBA Sponsors' Fest in October in Zurich or we bring it to your home. Adrian Egger is a percussionist, a balafonist and leader of the rhythm class «Zussamba» in Zurich. He has been a music teacher for the past 30 years at various music schools. 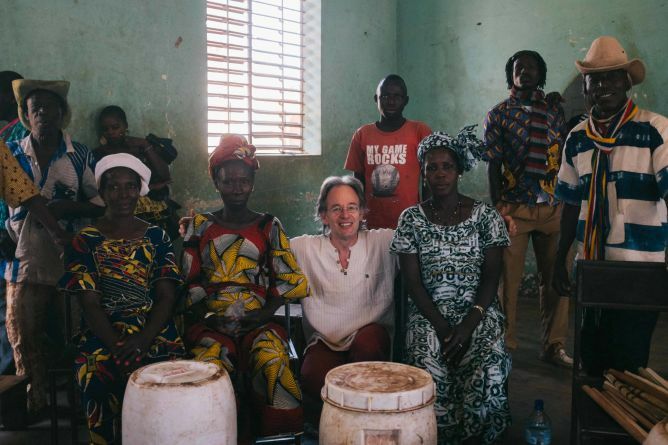 Adrian first visited Burkina Faso some 30 years ago and has maintained close ties with the country since. 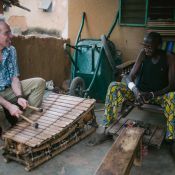 He is author of the book «Die Stimme des Balafon» and co-initiator of the 1st Saculba Festival in 2016. 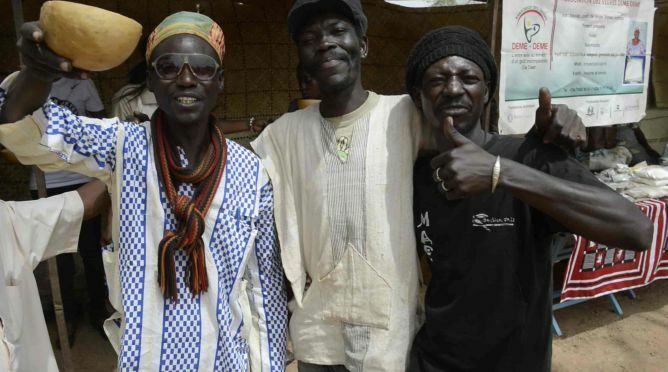 Moussa Hema is the founder of the Saculba Festival. 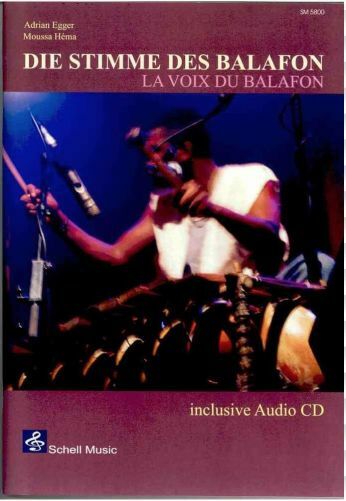 Born into a family of musicians in Banfora, Burkina Faso, Moussa went along to all ritual festivities with his father from a very early age and was so initiated into the tradition of playing the balafon. Eventually he was hired by the «Ballet National» and moved to Paris for his career as a musician. 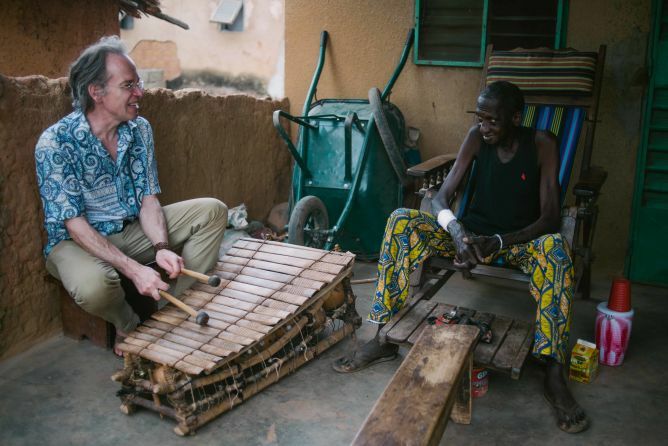 Still based in Paris, he is now a French citizen and teaches balafon at the Conservatory.